Offensively gifted, he is tough to contain in the offensive zone and is consistent at creating scoring chances. It appears as though the prospect bio on Tampa’s Alex Killorn was bang-on. The longer he played U.S. collegiate hockey, the more the hockey world took notice of his talents. In four seasons with Harvard, from 2008-2012, Killorn, who patrolled centre, upped his game each campaign, capped by a 23-goal and 46-point effort in his final year with the Crimson. He recorded 14 points in his first season, 20 the next, and 29 in 2010-11, before his memorable final year. In that senior year, Killorn's stellar performance saw him named to the 2011-12 ECAC Hockey First Team. The Tampa Bay Lightning already had the luxury of having the gifted forward in the fold, selecting him 77th overall in 2007, when he was playing at Deerfield Academy in Massachusetts. 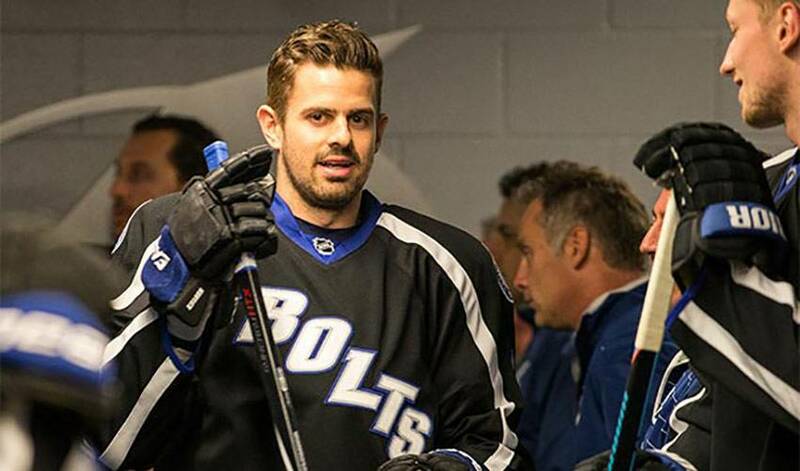 Now, three campaigns into his big-league career, Killorn has emerged as a clutch contributor for the ‘Bolts. In the 2014-15 regular season, he had 15 goals (five were game-winning tallies) and 38 points. After 16 playoff games, the Nova Scotia-born, Quebec-raised player has six goals (including a highlight-reel beauty in Game 3 of the Eastern Conference final on May 20) and 14 points. Killorn and the Lightning now find themselves one step away from playing for the Stanley Cup, facing off in a showdown with the New York Rangers for the opportunity. The tussle is far from over. On Monday night, Tampa evened the series with the Blueshirts. For his part, Killorn contributed two goals and one assist to the cause, adding three hits into the mix, earning second star honours for his effort. Two days later, he had two points and was a plus-three in a 6-5 OT thriller that put the ‘Bolts up 2-1 in the series. He’s also managed to execute his personal game plan to perfection.